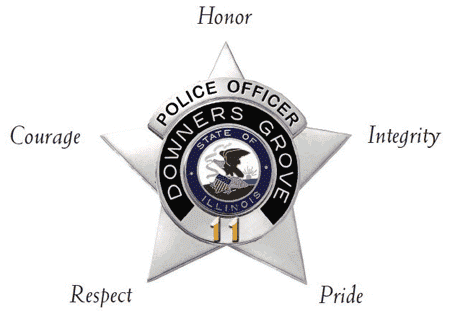 We, the members of the Downers Grove Police Department are committed to preserving safety and enhancing the quality of life in our community. We provide service with understanding, response with compassion, and law enforcement with vision. We do so with honor, courage, and integrity; never losing sight of the respect and pride we have for one another and those we serve. The Police Station operates under normal business hours Monday through Friday from 8:00 a.m. to 4:30 p.m. The lobby of the Police Station is always open. The Village of Downers Grove Police Department gives residents and businesses the ability to submit certain requests online. Click the button below to access and submit requests like: Overnight Parking, Vacation Watch, and Bicycle Registration.